When the crisis hit in 2008 a ton of people lost their jobs and went on unemployment benefits. During that time, the Feds loaned money to states to extend unemployment eligibility and to increase the amount of benefit. Well, until that money is paid off, North Carolina businesses have been forced to pay higher unemployment taxes in order to service that debt. Of course, this makes it tougher on folks providing jobs. In response to this, North Carolina refused to continue extended benefits and instead work to pay off that debt. Raleigh, N.C. — North Carolina no longer owes $2.75 billion it borrowed from the federal government pay first-time unemployment claims during the recent recession, action that will translate into lower taxes for employers. “This is not just about repaying debt we owe to the federal government. This is about creating jobs,” Gov. Pat McCrory told a gathering of lawmakers, business leaders and cabinet officials Tuesday in the old House chambers at the historic State Capitol. Businesses pay two basic types of unemployment taxes – federal and state. The federal, or FUTA, taxes state employers will pay on Jan. 1, 2016, will be about $280 million less than they were this year. State unemployment taxes, or SUTA, are going to remain steady for roughly another year until the state’s unemployment reserve fund tops $1 billion, then they will drop as well. All told, North Carolina employers can figure to pay $700 million less a year in unemployment taxes starting in 2017 than they paid in 2014. 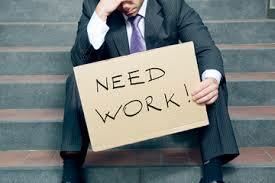 This entry was posted in Politics: North Carolina and tagged Unemployment. Bookmark the permalink.